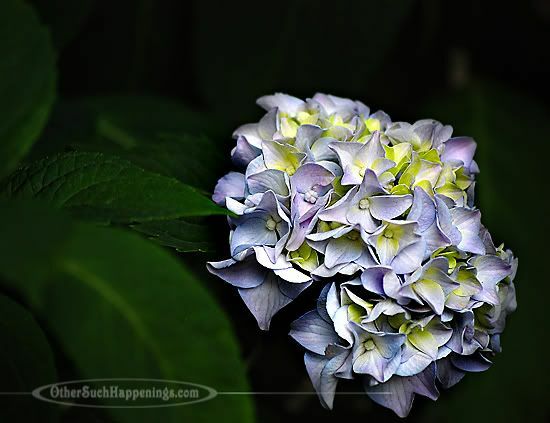 Out of all the flowers, trees and bushes we have planted around our house, the hydrangea is my most absolute favorite. It's amazing the differences you see within the same bush. Being positioned to where you receive more light bears fruit in both size and maturity. And when a little extra acid is added... it changes your whole chemistry. It changes you from the inside out. Visit Darcy @my3boybarians to see even more of this week's Sweet Shots. beautiful shots. I love love love hydrangeas. They are my top 5 favorite flower. There is something so english gardeny about them. WOW Marshy! Those are gorgeous!!! Great photos too. I love you!!! Beautiful pictures. Beautiful Word. I'm so glad that I stopped by from "Sweet Shot" today! These are stunning pics - love the colour contrast with the dark background! My momma has some of those in her yard. They're puuurdy! Me? I don't have anything nearly as pretty as that. I have bushes. Lots and lots of bushes. 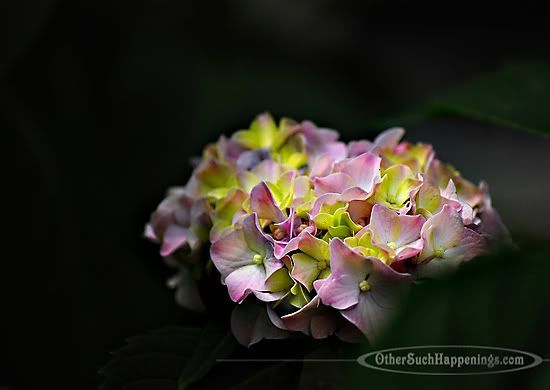 Beautiful images, love the hydrangea. Might have to add one or two to our garden this year. I grew up with a lovely blue bush outside one of my bedroom windows and another purplish one out the other... ahhh. LOVE them. I'm going to post a picture of the one I have here... you will laugh. It makes me want to grow some when I have a garden one day. They truly are beautiful flowers. I'm in love with the colors. You really are an amazing photographer, Marsha. Thanks for sharing these shots. Beautiful pictures! 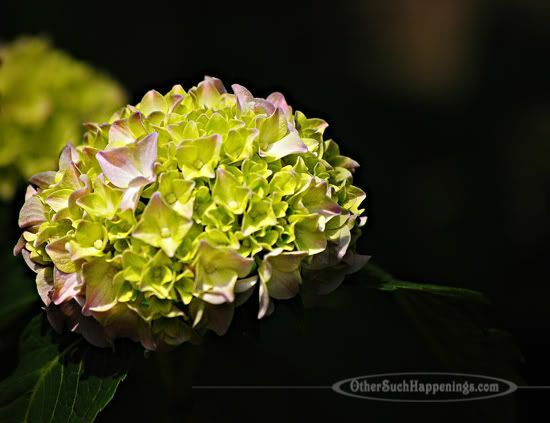 I love hydrangeas, but they don't don't really grow here. It was very nice of you to share your beautiful hydrangea. Aren't they a marvel? I can't wait for my hydrenga to get blooming! More sunshiine...more rain...and time. I love the analogies in the garden. Lovely post. I absolutely love hydrangeas. Beautiful shots. Mine aren't blooming yet but I can't wait! The images are eXquisite ~ the object lesson even lovelier! Pretty flowers. The pictures are great. Lovely! I need to go look in my yard at my bush tomorrow & see what I'm missing! Love, love hydrangeas! We planted a border of them across our fence two years ago! I can't wait for them to bloom this year! I love these, too! We've been keeping our eye out for them--we won't be here long enough to wait for baby ones to get really pretty like we want, so who knows if it will work out at this house. I love you! Way to go Marsha, Marsha, Marsha! Those are one of my most favorite flowers! I have always loved that they are their own little ready-made bouquets! these are such AMAZING photos!!! i just went to my brother in law's wedding where my mother in law made all of the flowers and she used blue hydrangeas, SO PRETTY!! !